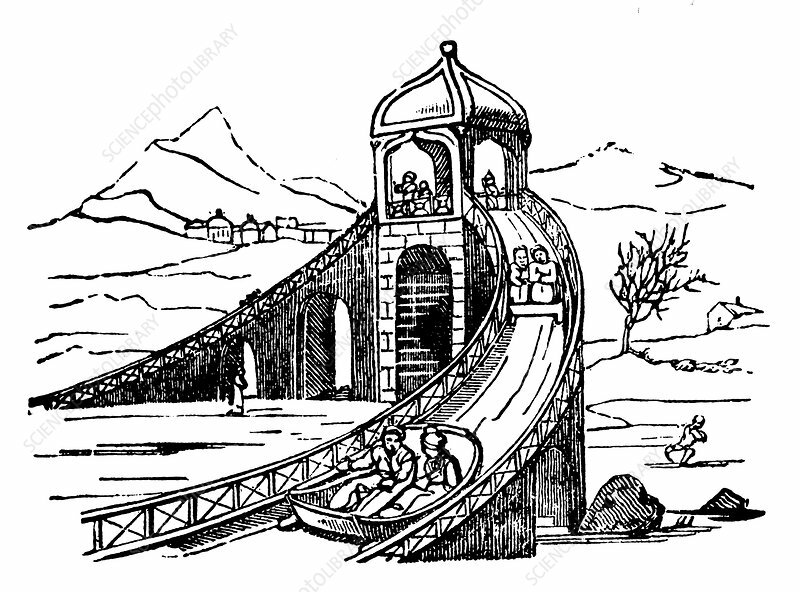 Ice Mountain', artificial sledge run, Russia, 1833. Ice Mountains such as this were constructed during the winter for public amusement in Russian cities such as St Petersburg and Moscow. People climbed up flights of steps to the top of the structure before then sledging down the other side.